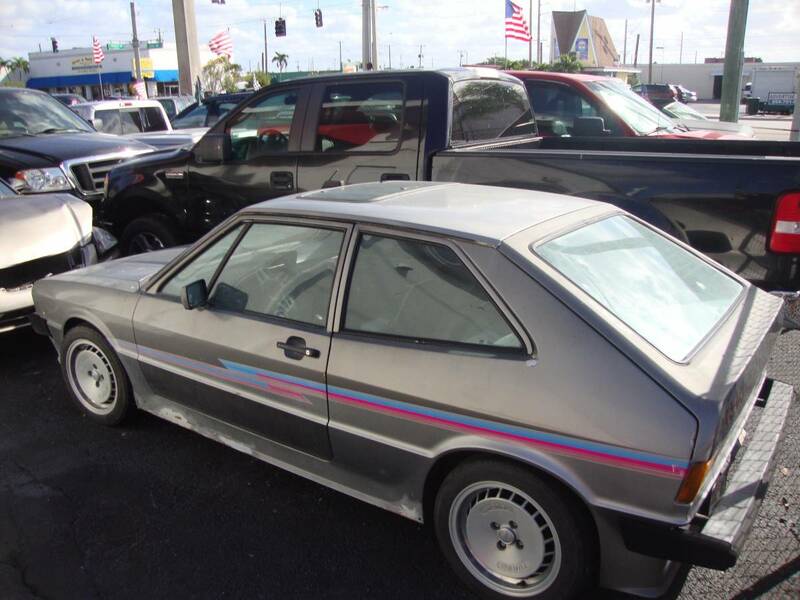 The first generation Volkswagen Scirocco was released in 1974 on a chassis that was shared with the Golf...but it had sleek sheet metal that was penned by Giorgetto Giugiaro and a name that was practically impossible to spell. 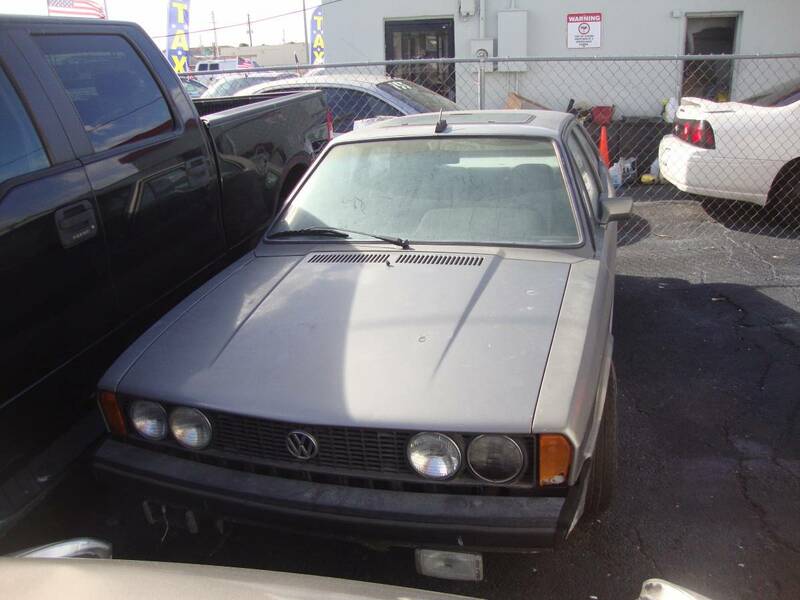 Find this 1977 Volkswagen Scirocco offered for $3,995 in Oakland Park, FL via craigslist. Tip from FuelTruck. This Scirocco is powered by a 1.6 liter 4-banger that pushes around 78 horsepower into the front wheels via a 4-speed manual gearbox. It won't be that fast, but that awesome graphics package will make up for any performance shortcomings. Those graphics are wild! My dad had one of these for a little while when I was growing up, he always enjoyed it but to my disappointment sold it just as I was getting my license. This was my first car in 1986. Well, not THIS Scirocco, but a '77 Scirocco in "Performance Champagne Gold Metallic" to be exact. B) Great first car and ran like champ. 180° parking brake slides were particularly fun. Always loved how these drive, the golf ball shifter, and the little led lights on the center dash. The one for sale has some sweet ronal wheels! No Used Car Dealers---Ever!! Thereby avoiding 80% of dumb car buying mistakes. oh, and of course Sean already called that - derp! The GTV-6 wheels in your image above were made by either Campagnolo or BWA. 10/10, would hoon (slowly and deliberately). That graphics package, those wheels and body kit totally do it for me. My dad had one when I was growing up (albeit black). He sold it when his company bought him an X-Body GM. He still regrets selling it to this day. Man, this looks like the cover of every mid-80's European Car issue I owned.